too cute! are you teaching her menacing poses, too? 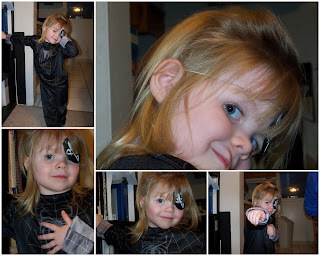 i mean, come on, she's a spider-man/pirate! :)!